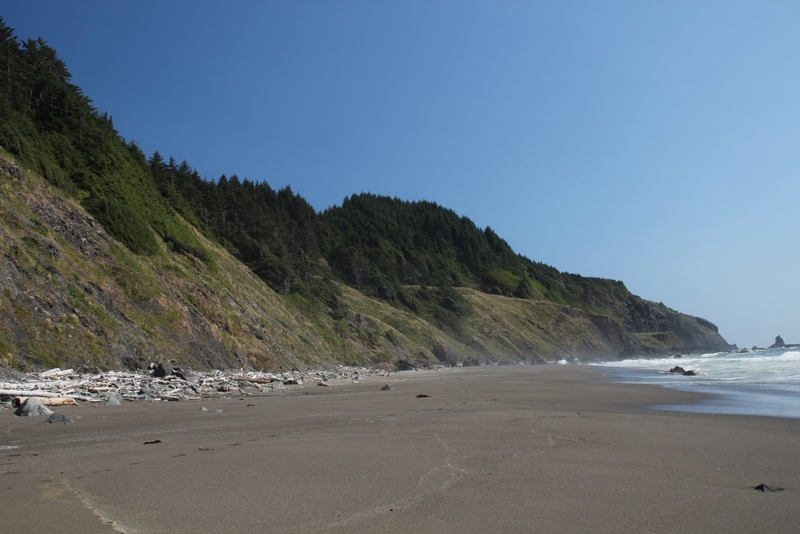 Hwy 101 mile marker 349. 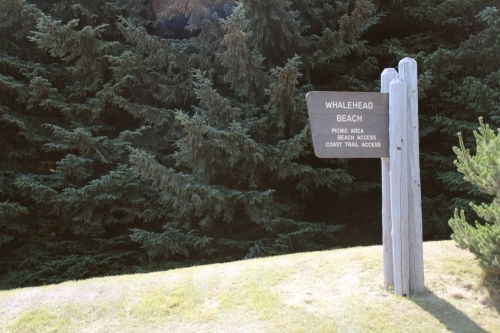 Whaleshead Beach is just south of Arch Rock and is part of the 12-mile long Samuel H. Boardman State Scenic Corridor. 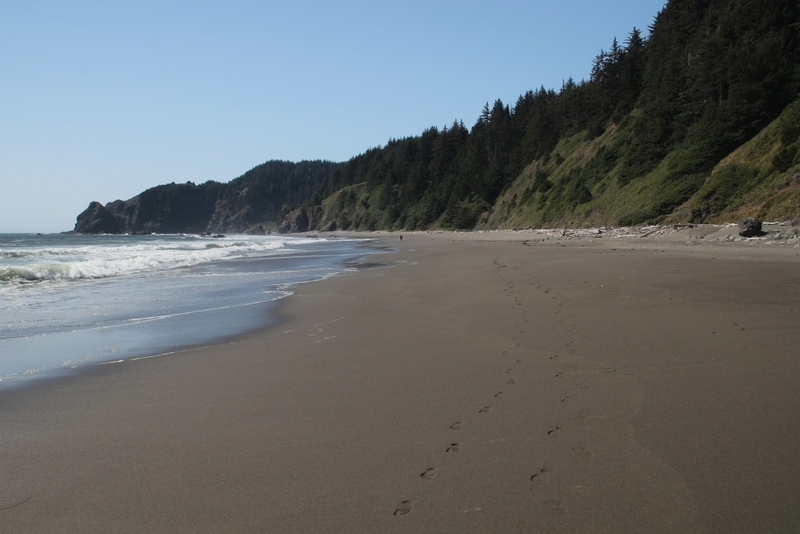 Oregon Parks link:Whaleshead Beach No fee required. Looks a bit like the inverse of "looking North", doesn't it? 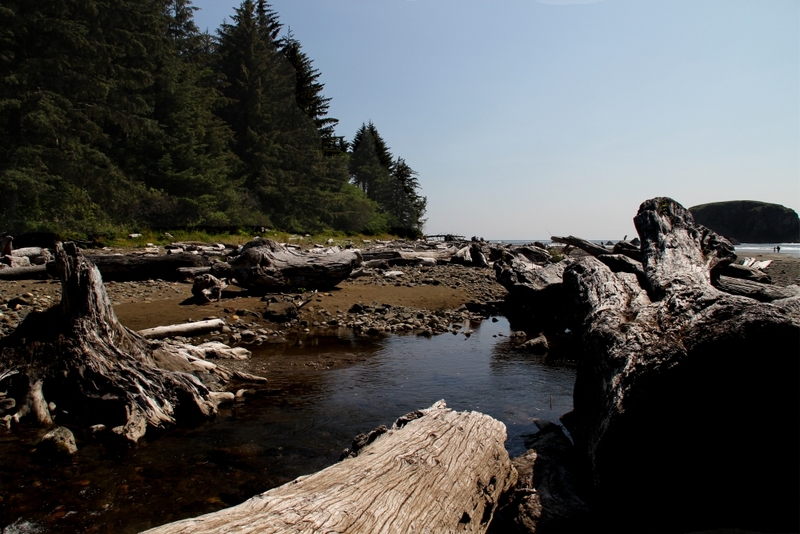 Here's some logs and other driftwood on the creek that runs into the ocean here.